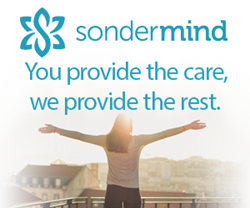 SonderMind is a company that helps connect consumers with a well-matched, trusted, professional behavioral health therapist, while providing therapists with pay-as-you-go office space, a software platform, insurance integration and credentialing services. The Stapleton location project represents a unique opportunity to serve a diverse set of customers with valuable behavioral health services. Finding a behavioral health professional can be challenging. Directories often have wrong numbers, list therapists who are not taking new clients, or don’t include those with practices that are nearby. Furthermore, the long hours of paperwork, isolation of running a private practice and high cost of office space all take a meaningful toll on therapist’s morale. This is a big reason why industry estimates show that one out of every five therapists leaves the profession each year. SonderMind, a Colorado company, will be opening a new location in the growing Denver neighborhood of Stapleton. This new location will support up to 30-40 behavioral health professionals in SonderMind's growing network of providers. In addition to increasing accessibility for consumers, SonderMind supports therapist by offering an online community, software solutions and back-office business services. ● SONDERMIND ONLINE COMMUNITY giving therapists across the country an easy way to collaborate with colleagues about new treatments, techniques and research, client referrals, and to find therapist supervisors or trainees for supervised clinical practice. ● FREE ONLINE DATABASE that quickly and easily connects people with trained therapists who are accepting new clients in their area. ● UNIQUE BACK-OFFICE SOLUTIONS to help therapists offer online appointment scheduling, office space rental by the hour and services to manage billing, paperwork and insurance filings. SonderMind’s mission is to enable therapists to focus on the work they love - helping clients – by simplifying the daunting business processes and tasks they normally face.